We're dedicated to helping you ride, through our cycling lessons and bicycle rentals. how can we help you ride? Every time I see an adult on a bicycle, I no longer despair for the future of the human race (HG Wells). 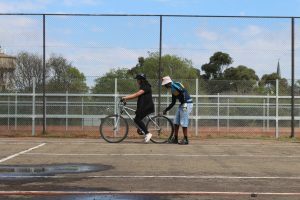 The Bicycle is a small bicycle-services business based in Brixton, Johannesburg that offers cycling lessons.